If you have been thinking about building a hollow wood SUP and like “All Around” shapes, our “all around” line up of SUP’s is ready to build! The Buddha “all around” comes in three sizes: 12’ 5” x 34” x 260 liters of volume, 11’ 5” x 32” x 226 liters of volume and 11’ x 0” x 32” x 216 liters of volume. These shapes are designed to accommodate a wide range of paddler sizes and skills and can be a great option for building a highly versatile board. “All around” shapes are also an excellent option for bigger paddlers wanting to build a board that has plenty of buoyancy. 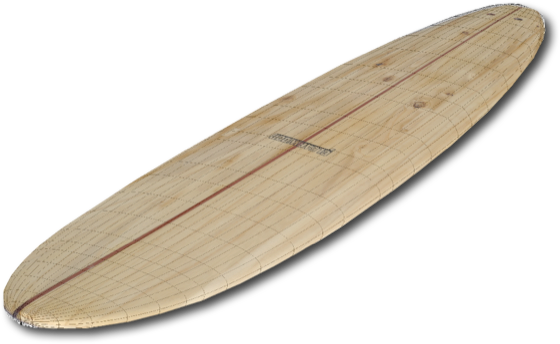 If you are a bigger paddler and have been struggling to find a shape big enough to accommodate you, we have the board for you.